Campingplass Marco de Bignac er en campingplass i Bignac, Charente, som ligger ved innsjø/vann. Denne campingplassen har steder med avgrensning, med skygge, uten skygge og plasser med noe skygge. Det er mulig å leie stasjonære campingvogner. Campingplassen har idrettsplass. Denne inspektøren besøker hvert år Campingplass Marco de Bignac og inspiserer campingplassen for ca. 200 fasiliteter og for andre punkt som forekommer. Inspektøren er en medarbeider fra ACSI og arbeider ikke for campingplassen. We last visited this site in 2001 and 2002 and were interested to return as we liked the site very much. There have been two changes of owners since our last visit and the present owners are an extremely friendly family who have plans for the site. The toilet/wash facilities are a little dated but beautifully clean and very adequate. There are plenty of entertainment opportunities for children with football, tennis,badminton, volleyball, table tennis and boules, play area and a lovely little petting zoo with a pony to die for. The swimming pool is again dated but Rome wasn't built in a day and plans are in place to update the area. The pitches are very big with a choice of shade or not. The bar/restaurant area has been refurbished to a high standard and although we did not attend the restaurant there were a large party of French locals dining at lunchtime which says something for the cuisine offered. If you want busy or relaxed, enjoy fishing or walking then this is the site for you. I wish the new owners well, they deserve it. Fabulous site run by an enthusiastic English family. Their plans for development slightly thwarted by local by-laws. The petting zoo would be great for children. A very nice campsite set beside a pretty lake, in the french countryside. Friendly British owners, not far to the typically French village. A good stopover or ideal for a week or so. We were making a return visit to this family run campsite. Lovely family, very welcoming - great restaurant/bar. Our pitch was by the lake and was peaceful and generously spaced. Great price, will be back. Lovely location and good sized pitches. Lake on site which gives great views from some pitches. Toilet/shower facilities could do with updating but new British owners seem to be aware of what needs doing. Would definitely stay again. Back to visit this beautiful site which has just opened the promised new sanitary block. Cosmetics not all finished but the new showers are wonderful, adjust to your own temperature and everything else is new too. Bathroom for disabled and a family room in the heated part. Food good in the restaurant as usual and the grass is freshly cut. Apart from the toilet block, signs of a lot of work gone on over the winter with the development of this beautiful site. Vil du booke campingplassen Campingplass Marco de Bignac eller få mer informasjon? Det går bra med opplysningene nedenfor eller via campingplassens nettsted. 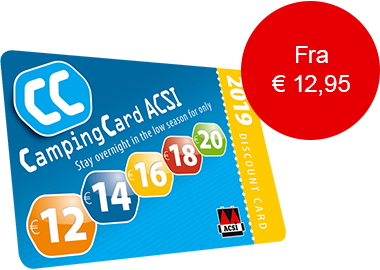 ACSI Eurocampings sender din forespørsel til "Campingplass Marco de Bignac".